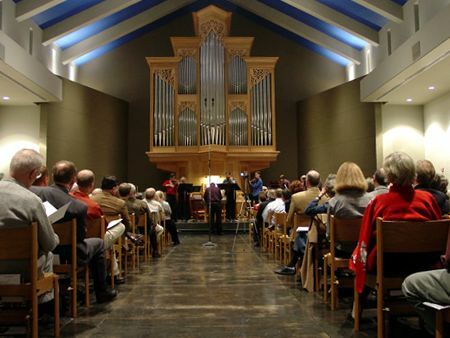 For more about this project and the organ, see the website of St. Bartholomew’s Episcopal Church in Atlanta, Georgia. 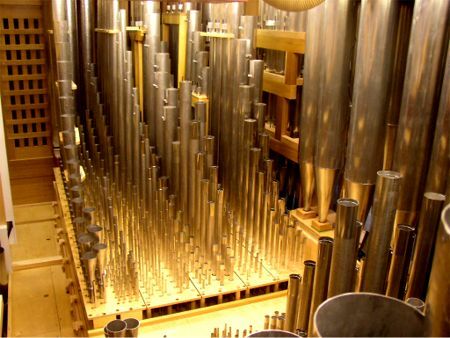 Against that scenario, the Rosales organ for Atlanta stands proud, representing a deeply personal expression. 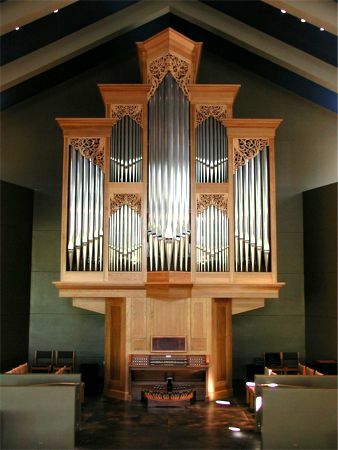 However, it is not without antecedent, in this case the builder’s Opus 9 for the First Presbyterian Church in Northridge, California. 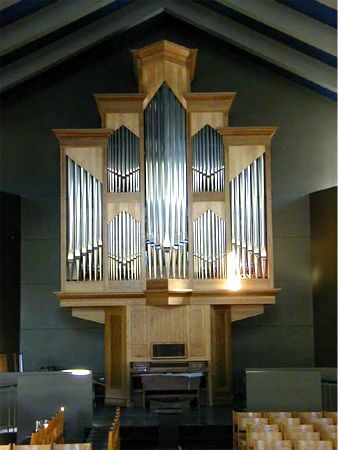 That instrument, a comprehensive two-manual instrument of 1981, was rebuilt in 1994 after damage caused by the Northridge earthquake. 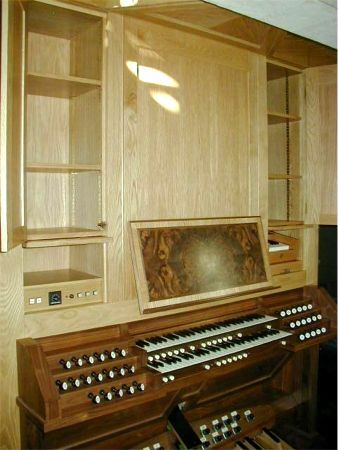 While following the general physical characteristics of the earlier example, Opus 29 has fewer stops and a different style of console. The marriage of suspended mechanical key-action and modern playing aids is deliberate, for flexibility both of touch and of registration. 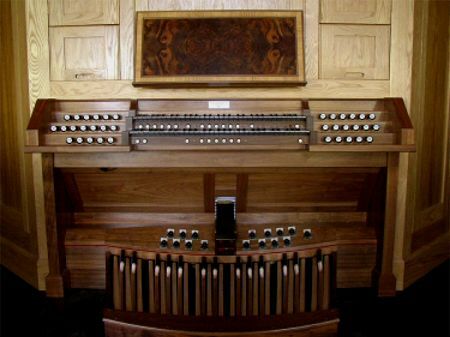 It was felt that an instrument with these attributes would be particularly appropriate in a liturgical setting, and form a useful addition to the pipe organs of the greater community. 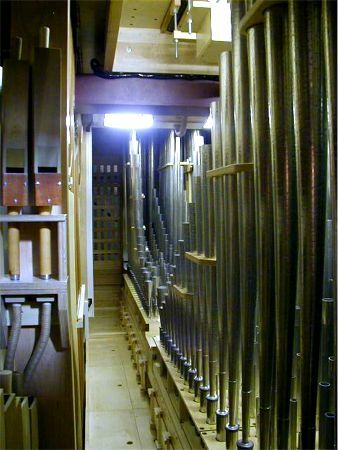 The bold Great principal chorus is this instrument’s heart and soul, based upon a solid 16-foot Prestant and majestically warm 8-foot Principal. The Swell chorus has its own lighter character, while adding unmistakably to the Great’s. 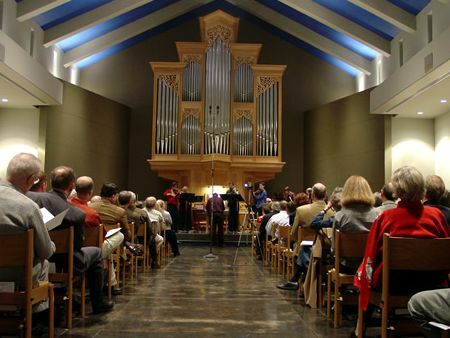 When compared to its earlier inspiration, Opus 29’s tonal design reflects an evolution of thought over two decades, embodying the dynamic and color variety more typically associated with the requirements of Anglican liturgy. 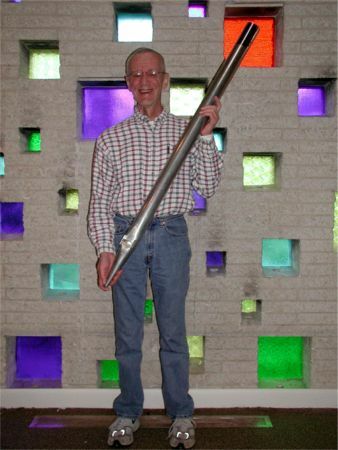 Thus, the Chimney Flute at Northridge has become a Harmonic Flute for Atlanta; a quiet Gemshorn supplants the earlier Dutch-style Vox humana and additional mutation stops intended for earlier organ literature; the Cromorne found at 8-foot pitch in Northridge is here transposed to 16-foot as a Clarinette, coupling with the Hautbois into a suggestion of the characteristic English “full swell;” a Great Seventeenth replaces Northridge’s Mounted Cornet, permitting not only a Sesquialtera registration but also a tierce-infused plenum, which is at the heart of most pre-20th-century American, English and German organbuilding traditions. 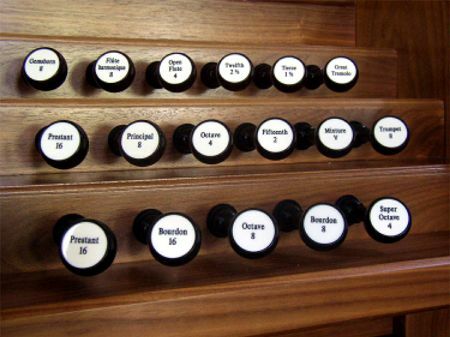 A subtle sophistication shines through the organ’s twenty-six registers. 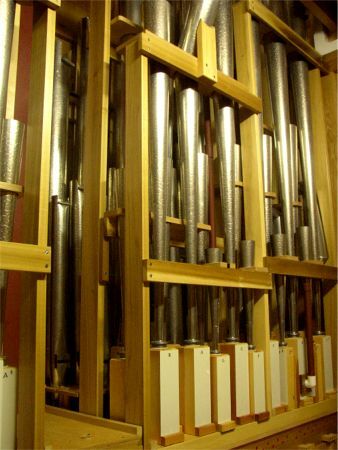 Since stops blend in unusual and convincing ways, the organ possesses a range of color normally associated with larger instruments. For example, the Gemshorn is quiet enough for delicate passages, but strong enough to blend with the Harmonic Flute into a mild principal voice. The Voix céleste marries tellingly with the Geigen, but just as effectively with the Gemshorn for a more delicate effect. The narrower, principal-toned Twelfth, Fifteenth and Seventeenth contrast well with the wide-scale Nasard, Doublet and Tierce. 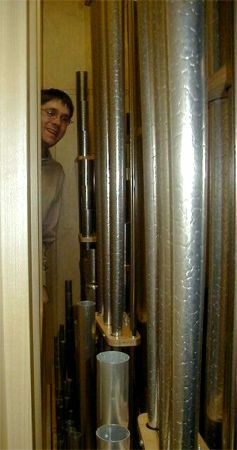 The Pedal Trombone is a solid, full-toned reed suitable for plenum registrations, but is transformed when mated to the fiery bass of the Great Trumpet. 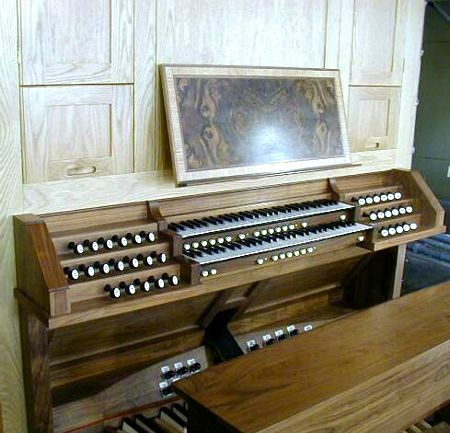 The instrument was designed and constructed in England by the P&S Company, with tonal and technical input from Manuel Rosales and Kevin Gilchrist. 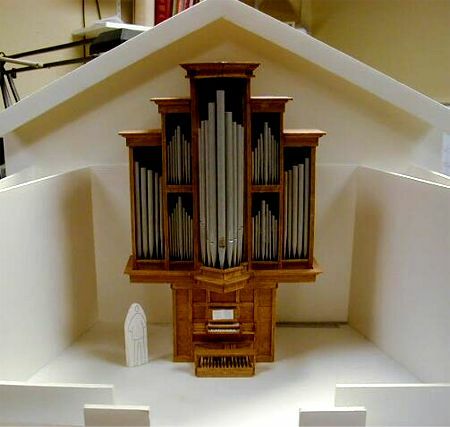 It is the first suspended action organ the P&S firm has built. The Great is located behind the façade, with the Swell elevated and behind. 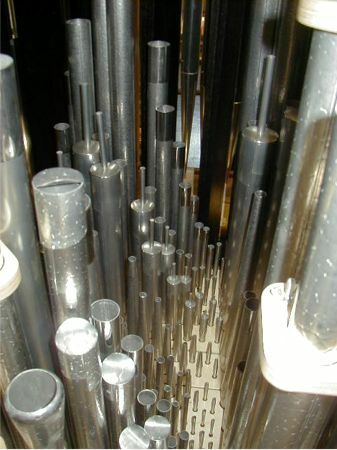 The larger pedal pipes are located at the rear of the case, with the largest beginning at floor level. The attached keydesk features a state-of-the-art solid-state memory for combination pistons, discreet lighting, and keys of ebony and bone. The arrangement of the stopknobs in side terraces permits ease of manipulation within the natural arc of the player’s arm motions. 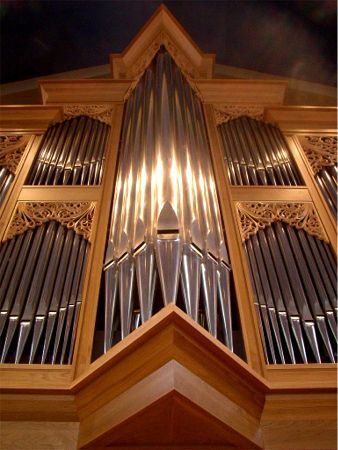 A fine organ is distinguished by more than its voicing. The nature and responsiveness of the action are vital. 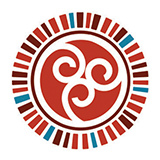 The behavior of the wind system exerts seminal influence. 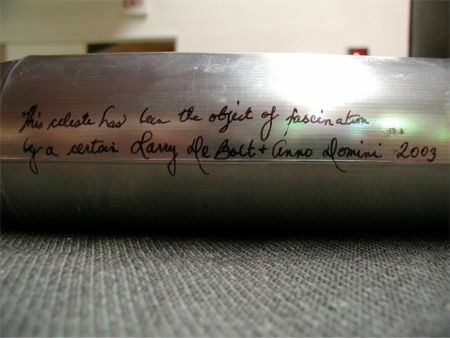 The physical arrangement of the pipes within the case determines blend and projection. 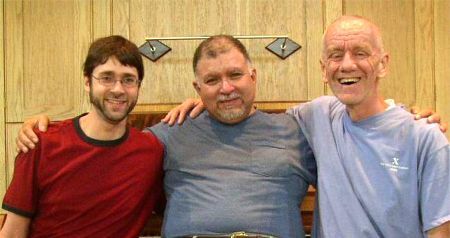 In this respect, Saint Bartholomew’s offers an ideal. 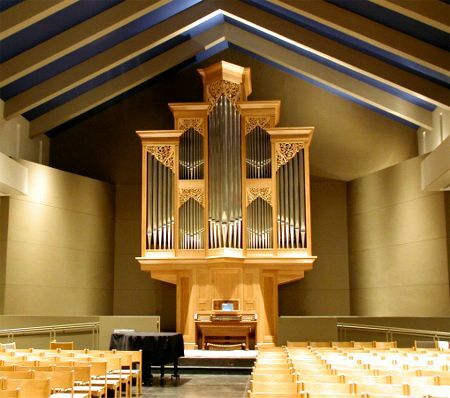 The location of the organ permits the tone to speak to every location in the church without compromise, and the gracious acoustical environment disperses and enriches the tone. 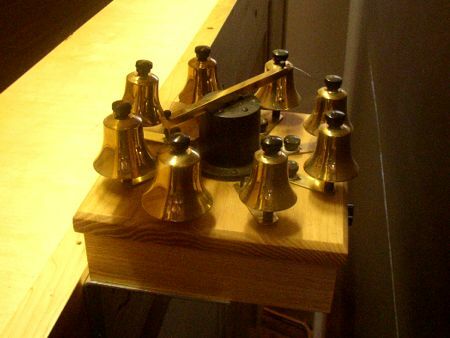 In the years preceding World War II, a builder’s style reflected not only his convictions about how music should sound forth, but also the guidance of his own personal ear. 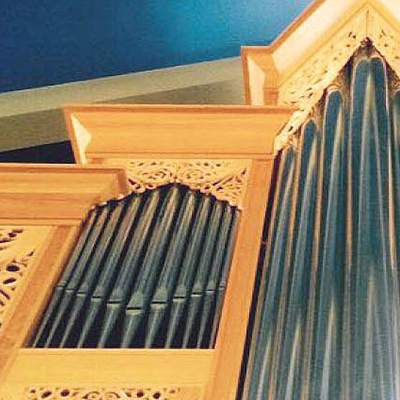 In the most recent phase of artistic organbuilding, a new synthesis has developed, in which stylistic precedents have often been the predominant motivating factor in how an instrument sounds. 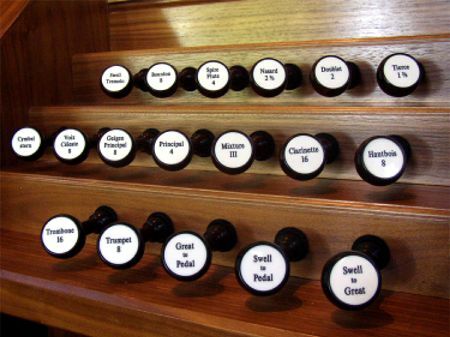 An organ’s intended repertoire, rather than its creator’s original vision, become a new animus. 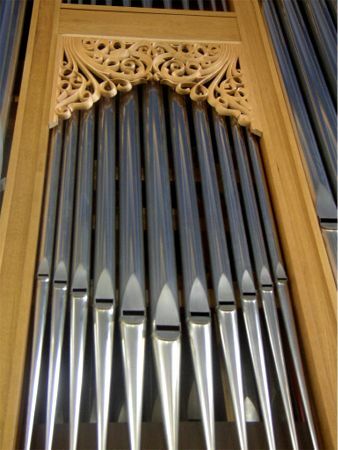 Many exquisite organs have been built along these lines. Yet there is an inherent paradox in this approach. 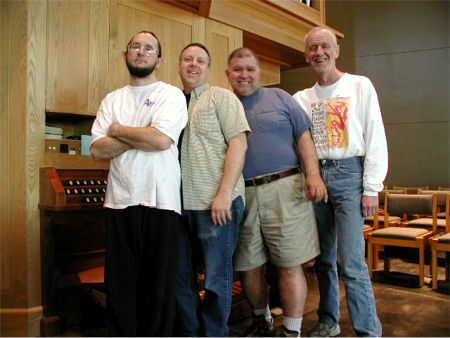 Often the genius of an old organ transcends its sounds, its action or its case. 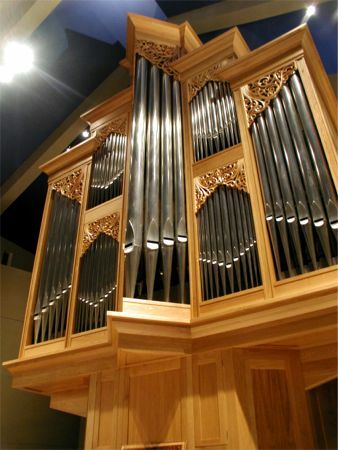 Every element of the instrument is just as noteworthy for being a reflection of the builder’s unique sensibility, that “tipping point” at which inspiration is triumphed by vision. 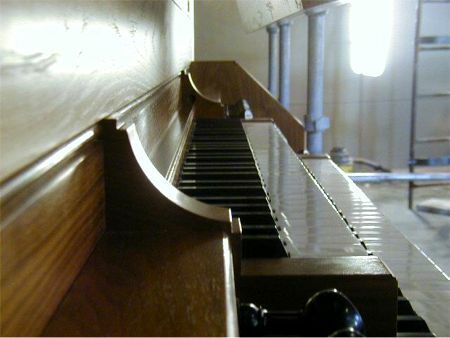 No matter how closely one attempts to model one’s work on elements of the past, ultimately an organ can only echo the sensibility of its builder and its own good time. 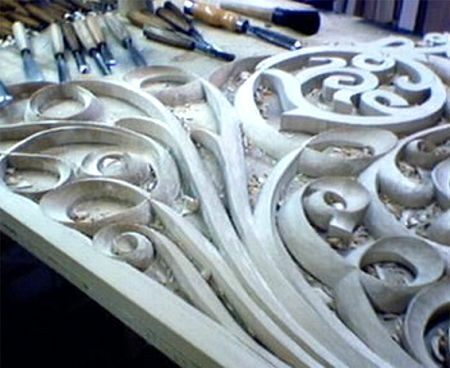 It is possible, however, to take inspiration not only from the organs, but the creativity, resourcefulness and ingenuity the old masters demonstrated, and apply that sense of artistic energy toward the development of a personal, modern style. It is in this respect that Manuel Rosales stands above his contemporaries. 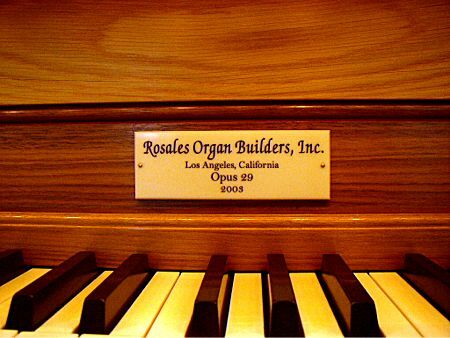 Despite intensive inquiry into the styles of many national schools (American, Dutch, German, Spanish, French, Mexican), his greatest influence is an abiding desire to build an organ true to his own ear and eclectic sensibilities. 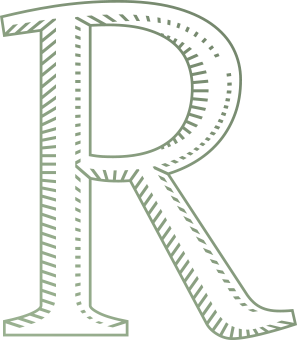 While the Rosales voicing gladly learns from the past, and will borrow unapologetically from it, the result is always individual – radiant with a personality by turns sophisticated, articulate and intelligent, charming, humorous and even outrageous. 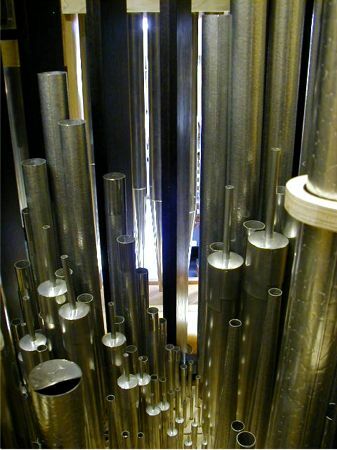 One has only to listen to this instrument’s 8-foot Principal to hear a tone, character and speech so immediately personal to appreciate how much of the man we hear in his work. In Opus 29, a clear respect for the past is just as important as its confident anticipation of the music of today, and tomorrow.